You may feel like the worst mom in the world. You may feel like you have blown your temper too many times, or are hanging on by your finger nails. Or you could feel pretty confident that you are a good mom, but you want to be the best mom you can be. The Key is being joined to Jesus. Without God you can do nothing. No matter how many self-help books you read, you can’t impart to your child all that God has for him or her without God’s help. Face it! You are dependent! You are completely desperate for God’s grace on a daily basis to help you be the best mom in the world for your child. Begin today by becoming intimate with Jesus. Is He your best friend? Do you talk to Him about everything. Do you stop and listen to hear His voice instructing you even on the intimate details of your life. Yes, He cares and He wants to help you. He wants to give you a harvest in life that is abundant. 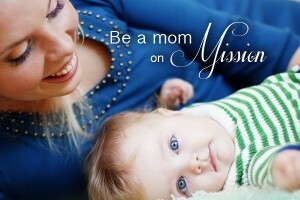 Be a Mom on Mission! 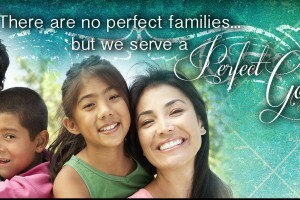 There are no Perfect Families, but we Serve a Perfect God!